The Lemon Butterfly Fish is an amazing specimen that can add a showy quality to many saltwater aquariums. Scientific Names : Chaetodon miliaris. Origin : Atlantic, Indian, Pacific Oceans. Diet : Chopped seafoods, Carnivore. 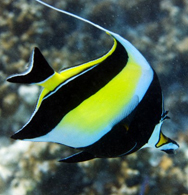 Temperament :Most Lemon Butterflies get on well with other fish. The fish is mainly yellow with many dark spots on its sides forming vertical stripes. 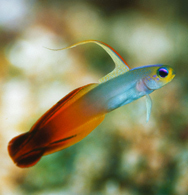 It has a black bar through the eyes and its fins are yellow. 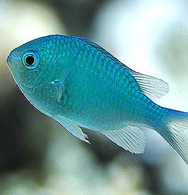 These are good community fish that are adored by many marine enthusiasts.